One of the cool new features of Java 8 is the support for lambda expressions. Lambda expressions lean heavily on the FunctionalInterface annotation. In this post, we’ll look at annotations and how to process them so you can implement your own cool features. Annotations were added in Java 5. The Java language comes with some predefined annotations, but you can also define custom annotations. Many frameworks and libraries make good use of custom annotations. JAX-RS, for instance, uses them to turn POJOs into REST resources. Annotations can be processed at compile time or at runtime (or even both). At runtime, you can use the reflection API. Each element of the Java language that can be annotated, like class or method, implements the AnnotatedElement interface. Note that an annotation is only available at runtime if it has the RUNTIME RetentionPolicy. Java 5 came with the separate apt tool to process annotations, but since Java 6 this functionality is integrated into the compiler. You can either call the compiler directly, e.g. from the command line, or indirectly, from your program. In the former case, you specify the -processor option to javac, or you use the ServiceLoader framework by adding the file META-INF/services/javax.annotation.processing.Processor to your jar. The contents of this file should be a single line containing the fully qualified name of your processor class. The ServiceLoader approach is especially convenient in an automated build, since all you have to do is put the annotation processor on the classpath during compilation, which build tools like Maven or Gradle will do for you. You can also use the compile-time tools to process annotations from within your running application. Rather than calling javac directly, use the more convenient JavaCompiler interface. Either way, you’ll need to run your application with a JDK rather than just a JRE. The JavaCompiler interface gives you programmatic access to the Java compiler. You can obtain an implementation of this interface using ToolProvider.getSystemJavaCompiler(). This method is sensitive to the JAVA_HOME environment variable. The getTask() method of JavaCompiler allows you to add your annotation processor instances. This is the only way to control the construction of annotation processors; all other methods of invoking annotation processors require the processor to have a public no-arg constructor. A processor must implement the Processor interface. Usually you will want to extend the AbstractProcessor base class rather than implement the interface from scratch. Each annotation processor must indicate the types of annotations it is interested in through the getSupportedAnnotationTypes() method. You may return * to process all annotations. The other important thing is to indicate which Java language version you support. Override the getSupportedSourceVersion() method and return one of the RELEASE_x constants. With these methods implemented, your annotation processor is ready to get to work. The meat of the processor is in the process() method. When process() returns true, the annotations processed are claimed by this processor, and will not be offered to other processors. Normally, you should play nice with other processors and return false. The annotations and the Java elements they are present on are provided to your process() method as Element objects. You may want to process them using the Visitor pattern. The most interesting types of elements are TypeElement for classes and interfaces (including annotations), ExecutableElement for methods, and VariableElement for fields. Each Element points to a TypeMirror, which represents a type in the Java programming language. You can use the TypeMirror to walk the class relationships of the annotated code you’re processing, much like you would using reflection on the code running in the JVM. Annotation processing happens in separate stages, called rounds. During each round, a processor gets a chance to process the annotations it is interested in. The annotations to process and the elements they are present on are available via the RoundEnvironment parameter passed into the process() method. If annotation processors generate new source or class files during a round, then the compiler will make those available for processing in the next round. This continues until no more new files are generated. The last round contains no input, and is thus a good opportunity to release any resources the processor may have acquired. Annotation processors are initialized with a ProcessingEnvironment. This processing environment allows you to create new source or class files. It also provides access to configuration in the form of options. Options are key-value pairs that you can supply on the command line to javac using the -A option. For this to work, you must return the options’ keys in the processor’s getSupportedOptions() method. Finally, the processing environment provides some support routines (e.g. to get the JavaDoc for an element, or to get the direct super types of a type) that come in handy during processing. To get the most accurate information during annotation processing, you must make sure that all imported classes are on the classpath, because classes that refer to types that are not available may have incomplete or altogether missing information. When processing large numbers of annotated classes, this may lead to a problem on Windows systems where the command line becomes too large (> 8K). Even when you use the JavaCompiler interface, it still calls javac behind the scenes. The Java compiler has a nice solution to this problem: you can use argument files that contain the arguments to javac. The name of the argument file is then supplied on the command line, preceded by @. Unfortunately, the JavaCompiler.getTask() method doesn’t support argument files, so you’ll have to use the underlying run() method. Remember that the getTask() approach is the only one that allows you to construct your annotation processors. If you must use argument files, then you have to use a public no-arg constructor. If you’re in that situation, and you have multiple annotation processors that need to share a single instance of a class, you can’t pass that instance into the constructor, so you’ll be forced to use something like the Singleton pattern. Annotations are an exciting technology that have lots of interesting applications. For example, I used them to extract the resources from a REST API into a resource model for further processing, like generating documentation. I’m very interested to learn what you have used them for. Please leave a comment below. Note that a Data Transfer Object is not the same as a Data Access Object (DAO), although they have some similarities. A Data Access Object is used to hide details from the underlying persistence layer. In a RESTful architecture, the messages sent across the wire are serializations of DTOs. This means all the best practices around DTOs are important to follow when building RESTful systems. …encapsulate the serialization mechanism for transferring data over the wire. By encapsulating the serialization like this, the DTOs keep this logic out of the rest of the code and also provide a clear point to change serialization should you wish. In other words, you should follow the DRY principle and have exactly one place where you convert your internal DTO to a message that is sent over the wire. In JAX-RS, that one place should be in an entity provider. 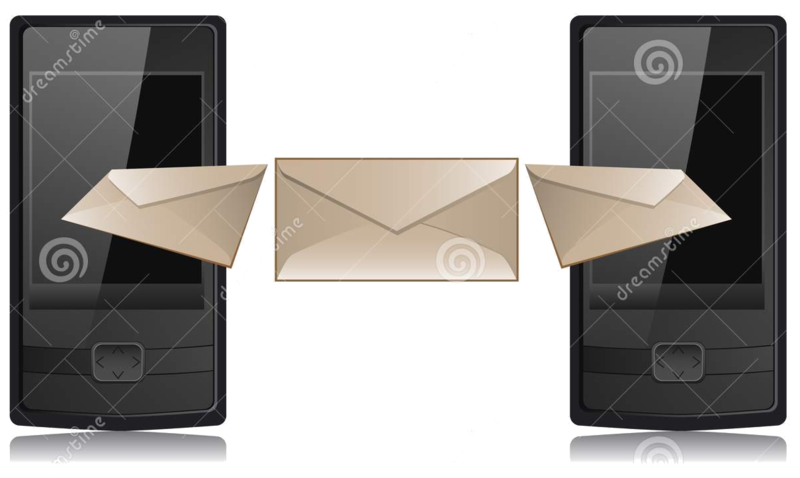 In Spring, the mechanism to use is the message converter. Note that both frameworks have support for several often-used serialization formats. Following this advice not only makes it easier to change media types (e.g. from plain JSON or HAL to a more mature media type like Siren, Mason, or UBER). It also makes it easy to support multiple media types. This in turn enables you to switch media types without breaking clients. 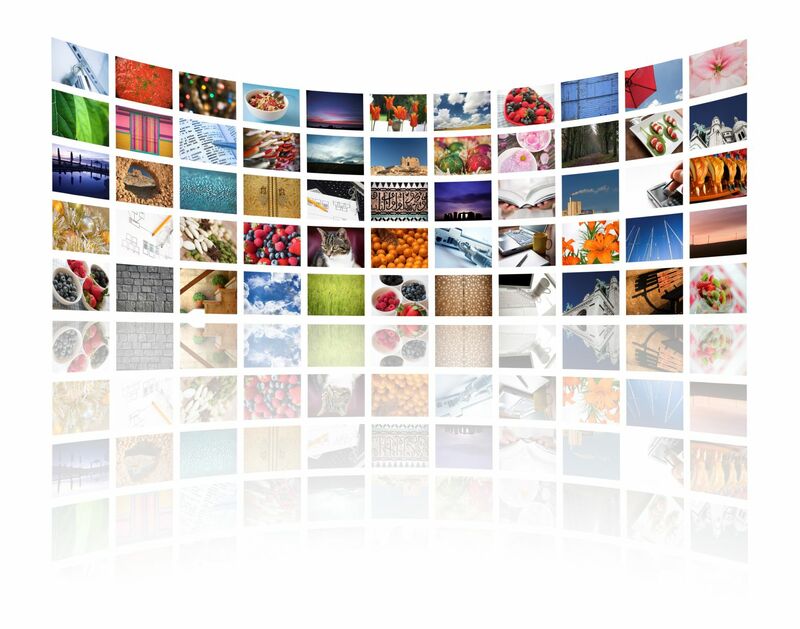 You can continue to serve old clients with the old media type, while new clients can take advantage of the new media type. Introducing new media types is one way to evolve your REST API when you must make backwards incompatible changes. Domain objects implement the ubiquitous language used by subject matter experts and thus are discovered. DTOs, on the other hand, are designed to meet certain non-functional characteristics, like performance, and are subject to trade-offs. This means the two have very different reasons to change and, following the Single Responsibility Principle, should be separate objects. Blindly serializing domain objects should thus be considered an anti-pattern. That doesn’t mean you must blindly add DTOs, either. It’s perfectly fine to start with exposing domain objects, e.g. using Spring Data REST, and introducing DTOs as needed. As always, premature optimization is the root of all evil, and you should decide based on measurements. The point is to keep the difference in mind. Don’t change your domain objects to get better performance, but rather introduce DTOs. A DTO should not have any behavior; it’s purpose in life is to transfer data between remote systems. This is very different from domain objects. There are two basic approaches for dealing with the data in a DTO. The first is to make them immutable objects, where all the input is provided in the constructor and the data can only be read. This doesn’t work well for large objects, and doesn’t play nice with serialization frameworks. The better approach is to make all the properties writable. Since a DTO must not have logic, this is one of the few occasions where you can safely make the fields public and omit the getters and setters. Of course, that means some other part of the code is responsible for filling the DTO with combinations of properties that together make sense. Conversely, you should validate DTOs that come back in from the client. In The Structure of Scientific Revolutions, Thomas Kuhn argues that science is not a steady accumulation of facts and theories, but rather an sequence of stable periods, interrupted by revolutions. During such revolutions, the dominant paradigm breaks down under the accumulated weight of anomalies it can’t explain until a new paradigm emerges that can. We’ve seen similar paradigm shifts in the field of information technology. 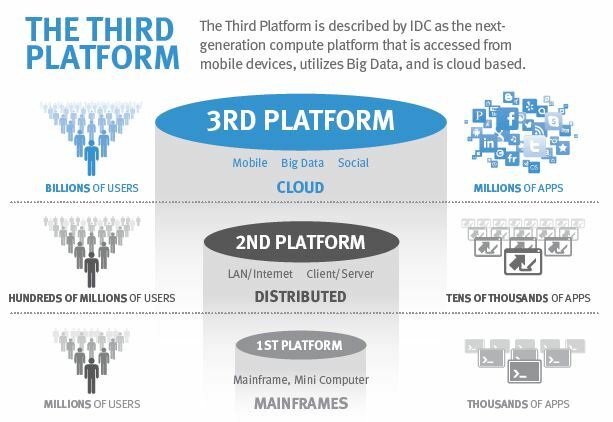 For hardware, we’re now at the Third Platform. For software, we’ve had several generations of programming languages and we’ve seen different programming paradigms, with reactive programming gaining popularity lately. We’ve seen a revolution in software development methodology as well, where the old Waterfall paradigm was replaced by Agile. The anomalies in this case were summarized as the software crisis, as documented by the Chaos Report. Only two of the seven methods were represented by more than one person: eXtreme Programming (XP) and Scrum. Coincidentally, these are the only ones we still hear about today. Scrum is the clear winner in terms of market share, to the point where many people don’t know the difference between Agile and Scrum. I think there are at least two reasons for that: naming and ease of adoption. Decision makers in environments where nobody ever gets fired for buying IBM are usually not looking for something that is “extreme”. And “programming” is for, well, other people. On the other hand, Scrum is a term borrowed from sports, and we all know how executives love using sport metaphors. Scrum is easy to get started with: you can certifiably master it in two days. 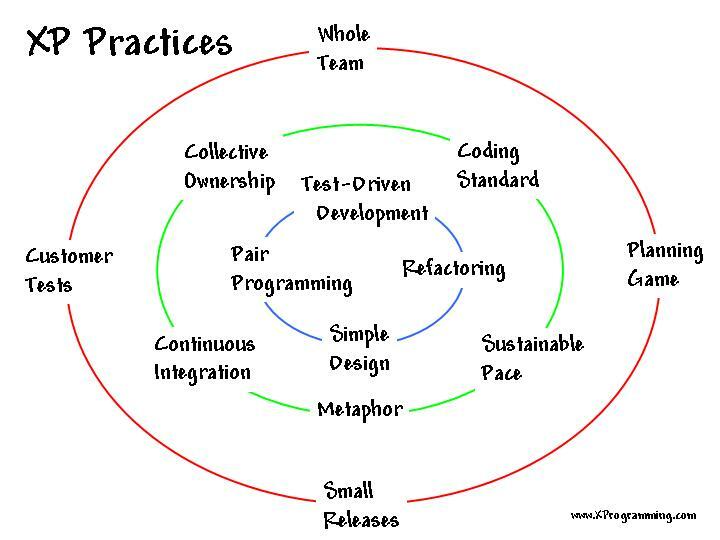 Part of this is that Scrum has fewer mandated practices than XP. That’s also a danger: Scrum doesn’t prescribe any technical practices, even though technical practices are important. The technical practices support the management practices and are the foundation for a culture of technical excellence. The software craftsmanship movement can be seen as a reaction to the lack of attention for the technical side. For me, paying attention to obviously important technical practices is simply being a good software professional. The jury is still out on whether management-only Scrum is going to win completely, or whether the software craftsmanship movement can bring technical excellence back into the picture. This may be more important than it seems at first. Since Scrum focuses only on management issues, developers may largely keep doing what they were doing in their Waterfall days. This ScrumFall seems to have become the norm in enterprises. No wonder that many Scrum projects don’t produce the expected benefits. The late majority and laggards may take that opportunity to completely revert back to the old ways and the Agile Revolution may fail. In fact, several people have already proclaimed that Agile is dead and are talking about a post-Agile world. Some think that software craftsmanship should be the new paradigm, but I’m not buying that. Software craftsmanship is all about the code and too many people simply don’t care enough about code. Beautiful code that never gets deployed, for example, is worthless. Speaking of deploying software, the DevOps movement may be a more likely candidate to take over the baton from Agile. It’s based on Lean principles, just like Agile was. Actually, DevOps is a continuation of Agile outside the development team. I’ve even seen the term agile DevOps. So what makes me think DevOps won’t share the same fate as Agile? First, DevOps looks at the whole software delivery value stream, whereas Agile confined itself to software development. This means DevOps can’t remain in the developer’s corner; for DevOps to work, it has to have support from way higher up the corporate food chain. And executive support is a prerequisite for real, lasting change. Second, the DevOps movement from the beginning has placed a great deal of emphasis on culture, which is where I think Agile failed most. We’ll have to see whether DevOps can really do better, but at least the topic is on the agenda. Third, DevOps puts a lot of emphasis on metrics, which makes it easier to track its success and helps to break down silos. Fourth, the Third Platform virtually requires DevOps, because Systems of Engagement call for much more rapid software delivery than Systems of Record. Fifth, with the number of security breaches spiraling out of control, the ability to quickly deploy fixes becomes the number one security measure. The combination of DevOps and Security is referred to as Rugged DevOps or DevOpsSec. What do you think? Will DevOps succeed where Agile failed? Please leave a comment. The other day InfoQ posted an article on software craftsmanship. In my view, software craftsmanship is no more or less than being a good professional. Here are three main ways to become one. Let’s start with why. Software rules the world and thus we rule the world. And we all know that with great power comes great responsibility. Now, what is responsible behavior in this context? It’s many things. It’s delivering software that solves real needs, that works reliably, is secure, is a pleasure to use, etc. etc. There is one constant in all these aspects: they change. Business needs evolve. New security threats emerge. New usability patterns come into fashion. New technology is introduced at breakneck speed. The number one thing a software professional must do is to form an attitude of embracing change. We cope with change by writing programs that are easy to change. Adaptability is not something we’ll explicitly see in the requirements; it’s silently assumed. We must nevertheless take our responsibility to bake it in. Unfortunately, adaptability doesn’t find its way into our programs by accident. Writing programs that are easy to change is not easy but requires a considerable amount of effort and skill. The skill of a craftsman. How do we acquire the required skills to keep our programs adaptable? We need to learn. And the more we learn, the more we’ll find that there’s always more to learn. That should make us humble. By reading/watching/listening, by practicing, and by doing. We need to read a lot and go to conferences to infuse our minds with fresh ideas. We need to practice to put such new ideas to the test in a safe environment. Finally, we need to incorporate those ideas into our daily practices to actually profit from them. Programmers cannot improve their skills by doing the same exercise repeatedly. One part of mastering a skill is building muscle memory, and that’s what katas like Roman Numerals are for. Athletes and musicians understand that all too well. But we must go even further. There is so much to learn that we’ll have to continuously improve our ability to do so to keep up. Learning to learn is a big part of software craftsmanship. Nowadays software development is mostly a team sport, because we’ve pushed our programs to the point where they’re too big to fail build alone. We are part of a larger community and the craftsmanship model emphasizes that. There are both pros and cons to being part of a community. On the bright side, there are many people around us who share our interests and are willing to help us out, for instance in code retreats. The flip side is that we need to learn soft skills, like how to influence others or how to work in a team. Being effective in a community also means our individually honed skills must work well with those of others. Test-Driven Development (TDD), for example, can’t successfully be practiced in isolation. An important aspect of a community is its culture, as the DevOps movement clearly shows. To make matters even more interesting, we’re actually simultaneously part of multiple communities: our immediate team, our industry (e.g. healthcare), and our community of interest (e.g. software security or REST), to name a few. We should participate in each, understanding that each of those communities will have their own culture. Software craftsmanship is not about becoming a master and then resting on your laurels. While we should aspire to master all aspects of software development, we can’t hope to actually achieve it. It’s more about the journey than the destination. And about the fun we can have along the way.